Brazilian football superstar Neymar says he will remain at Paris Saint-Germain next season despite rumors of a possible move to Real Madrid, who are searching for a replacement for Cristiano Ronaldo. “I have a contract with PSG. I went to the club looking for a challenge in my career and looking for new goals. Nothing has changed in my head. I hope this season I have success and we can win many titles,” Neymar said in an interview with Fox Sports. “I am very excited about this new season and I think it will be an honor to play alongside [Gianluigi] Buffon,” Neymar said in reference to the French club recently signing the Italian goalkeeper. “Journalists tell many stories that are not true. It’s a little bit boring. Everybody know how I like the president of PSG, the city, the fans,” Neymar said, dismissing the news that he is unhappy in Paris and is looking for a transfer as soon as possible. During the World Cup, Neymar was harshly criticized by journalists and football fans for diving and rolling on the pitch, becoming one of the most talked-about players in the tournament. The 26-year-old, however, insists his reputation is intact and his market value is undiminished. “Devaluation? I left the World Cup and until now everybody is talking about me. So there was no devaluation. People never forget me. I don’t get angry with the memes or jokes about me,” he said. 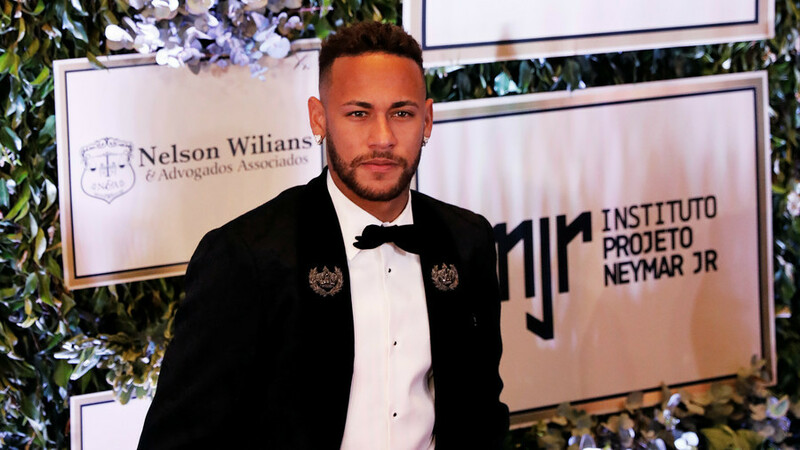 On Thursday night, Neymar organized a charity auction to raise funds for a football institute in Brazil, which specializes in teaching sports to kids in need. It raised a total of $927,000.